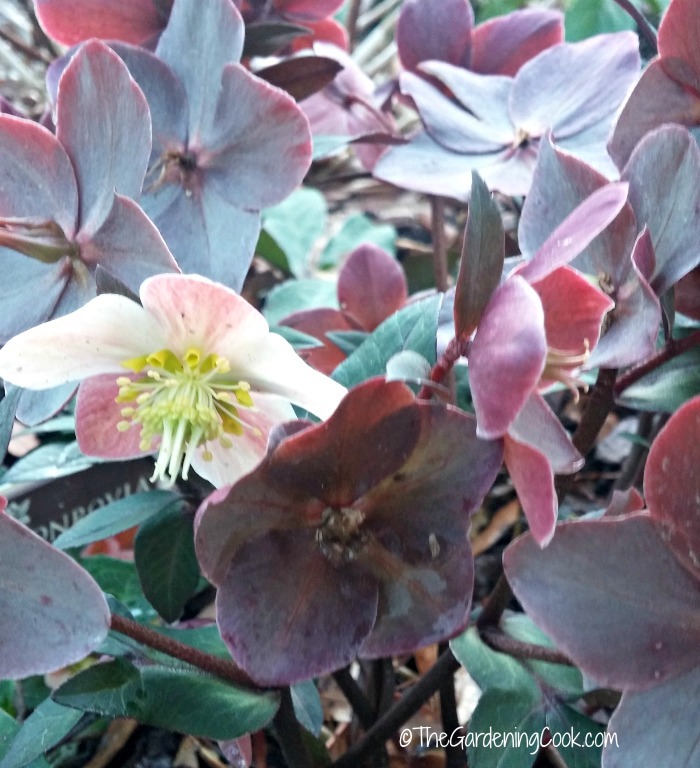 If you like the idea of a plant that flowers in winter while there is still snow on the ground, try Growing Helleborus. Lenten Rose is another name for hellebores. The blooms come in lots of different shades and shapes. I first heard of Helleborus perennial several years ago when I spent a season trying to grow some uncommon plants from seed. I didn’t have any luck with them, but the idea of a flowering plant blooming in my garden where there is still snow on the ground stuck in my mind. The botanical name of this lovely perennial is Helleborus. Lenten Rose is a common name and it’s also known by the name Christmas rose, because of blooming time. Growing Helleborus Perennial – an ever green flowering plant. Imagine my delight, a few years ago, while browsing the garden center of Lowe’s, in very early spring, to find rows and rows of Monrovia Hellebores. I shrieked. I danced. I grabbed one and bought it, in spite of the hefty price tag, close to $20. I was determined to get that baby into the ground in my shady side border. Helleborus (pronounced hel-eh-bor’us) is a popular garden plant with those who are longing for spring flowers long before the winter season is over. They are frost resistant and evergreen too, so they have interest year round. I was happy with my single plant for two years. But last year, all that changed. My husband was working part time for a landscaping friend of his and one of their jobs was some work in the garden of a lady who obviously loved Helleborus as much as I do. Her garden was over run with them and she graciously allowed my sweet husband to dig some up and bring them home to me. You should have seen his face the day he rolled up with about a dozen Lenten Rose plants in the back of his truck…all with different colored flowers and leaf formation as a surprise for me! He was a very popular guy in our house that day, I can tell you! I love the way that Hellebores grow. They have multi leaved stems of flowers that lay down nicely under the center of the plant where the bloom spikes start to grow up. Some have low laying bloom clusters and make for a nice compact plant. Others have more spikes to the leaf cluster and have a higher spray of flowers that sit in a big clump quite a bit above the center of the plant. Flower colors of Lenten Rose vary widely. The varieties that I have in my garden now range from mauve, to purple and white, light green, medium green, pale pink and pure white. The petals of the flowers vary too. Some are quite cupped shape and others spread wide open to reveal the center of the plant. I have dozens of hellebores in my garden now. This dish of petals shows the range that I have acquired so far. Leaf shapes vary a lot too, fine very fine solid green, to really plump leaves with a burgundy tinge to them. While it is easy to grow hellebores as long as you are careful of sunlight, the plants also have particular moisture and soil needs. Be sure to plant Lenten rose in well draining, organic soil. Most Hellebores do not like to have wet feet. The plant prefers neutral PH to slightly limy soils. 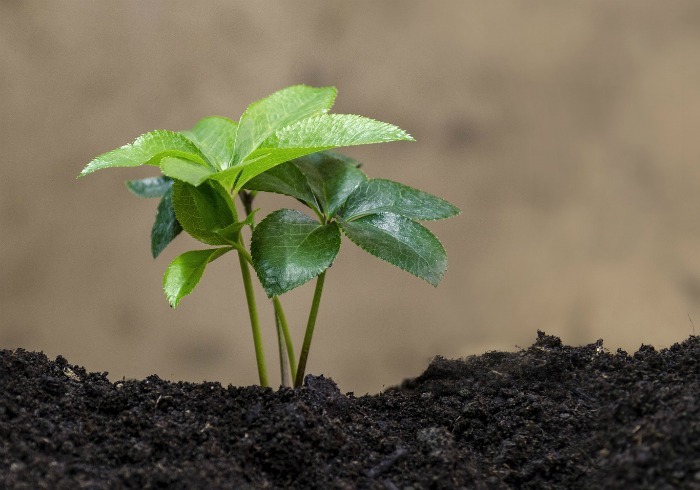 They will grow best if you make sure to dig deep into the soil at planting time, and add plenty of organic matter such as leaf mold, compost, or old manure. These plants are somewhat drought resistant so only need light watering once established. Great for those who don’t have time to spend on watering plants on a schedule. Helleborus is definitely one plant that does better without a lot of sunlight. It is very much at home under the shade of trees and loves this type of environment. Choose a location with filtered light sun or shade. I have mine in both, but the ones in my shady border perform the best. Hellebores are right at home in a woodland garden. That being said they will tolerate almost full sun to almost full shade but prefer partial shade. 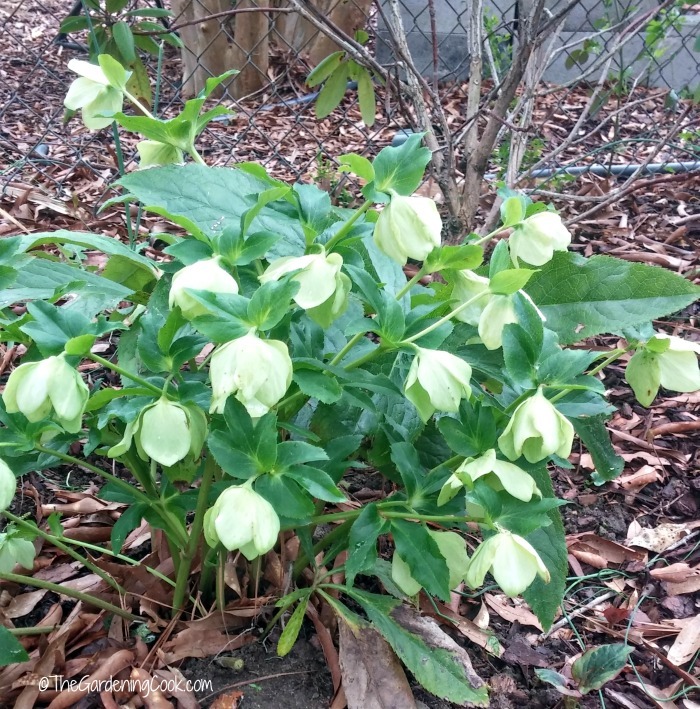 When does Lenten rose flower? Helleborus perennial flowers in late winter to very early spring. 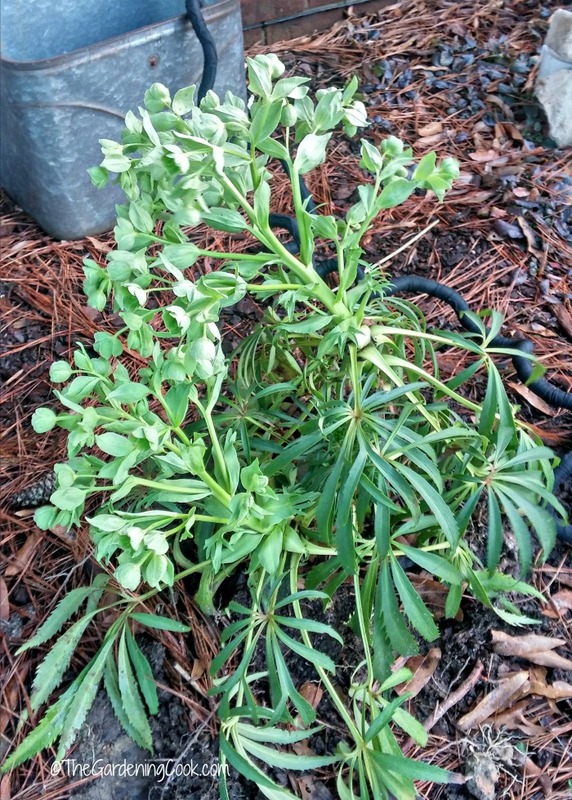 Here in NC, my plants have been flowering since January. I currently have dozens of plants in bloom. It’s not uncommon to see the blooms of hellebores when there is still snow on the ground! The flowers are very long lasting and also make great cut flowers for indoors. For other very early spring bloomers, see this post. Be careful when you fertilize. If you choose a fertilizer with too much nitrogen in the formula, you will end up with lots of lush leaves but now so many flowers. Bonemeal fertilizer in the fall is recommended. The plant will benefit from additions of organic matter such as compost at planting time and again yearly. To grow Hellebores from seed, a 60 day chilling period is needed. So, either keep the seeds in the fridge for that time before trying to plant, or else, plant outdoors in the fall where the cold period will happen naturally. Seedlings may not end up true to parent, and may need to be thinned out. While growing helleborus as an adult plant is usually problem-free, growing plants from seeds can be tricky and it’s often easier to buy established plants. One of the beauties of this plant is that it self seeds readily, so one plant is likely to become many in a few years. The flowers of existing will produce large amounts of seeds which can drop and will produce lots of seedlings in years to come. The seedlings may vary from the parent. 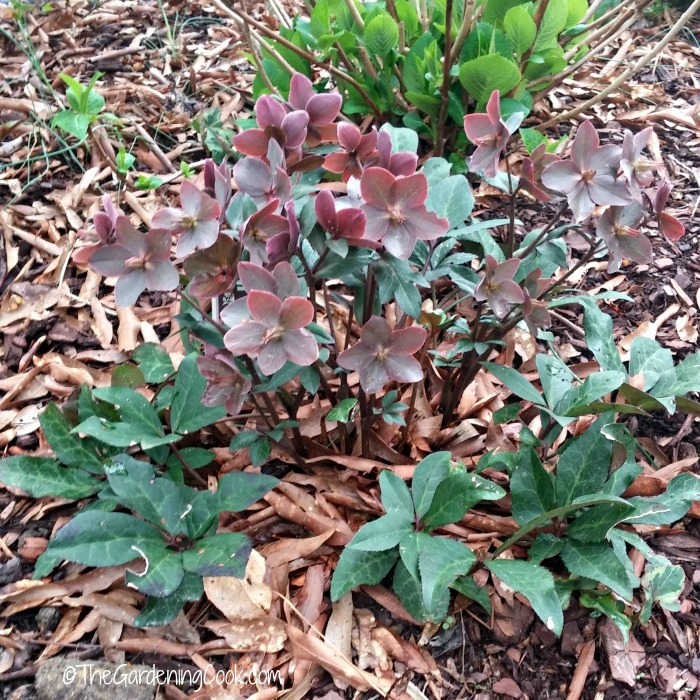 Overgrown clumps of Hellebores can be divided in early spring or in the fall for more plants for free. Like any plant, hellebores can look pretty tattered after a hard winter. Old foliage can safely be removed in early spring after frost ends to tidy up the plants. The leaves will especially get ratty looking, even when the flowers are still growing strong. 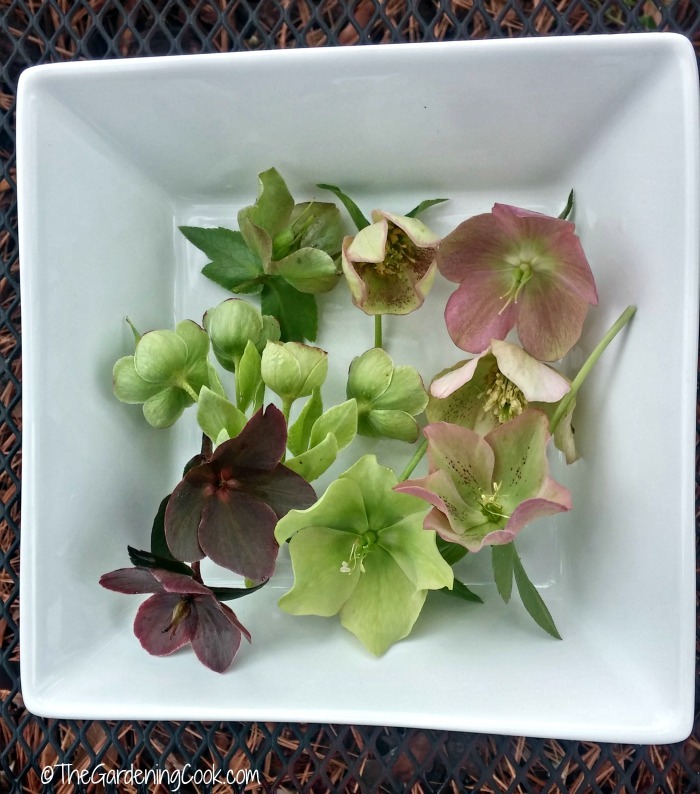 See my tips for pruning hellebores here. Dead heading is not needed: Hellebores flower petals continue throughout the summer and are quite ornamental. They do lose a lot of their color as the weather heats up. How large does Lenten Rose get? Helleborus perennial plants can grow from 1 to 4 ft high and about 18 inches to 3 feet wide. The largest one that I have in my garden right now is about 18 inches tall and 2 feet wide. Be sure to give room around the plant at planting time because of the self seeding nature of the perennial. 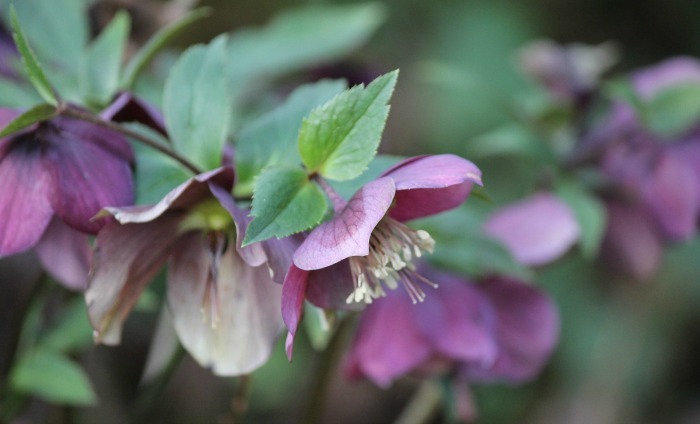 To get the most out of your helleborus plant, these extra tips for pests, companion plants and cold hardiness will be helpful. Slugs and snails are attracted to Hellebores. These can be controlled with baits, or Diatomaceous earth. You can also surround the plants with eggshells which will deter snails and slugs from coming hear the plant because of their sharpness. Aphids are attracted to the foliage of hellebores. Be sure to check the leaves for fungus. Hellebores are often infected by botrytis, a virus that likes cool and damp conditions. It shows itself as a grey mold covering the plant. 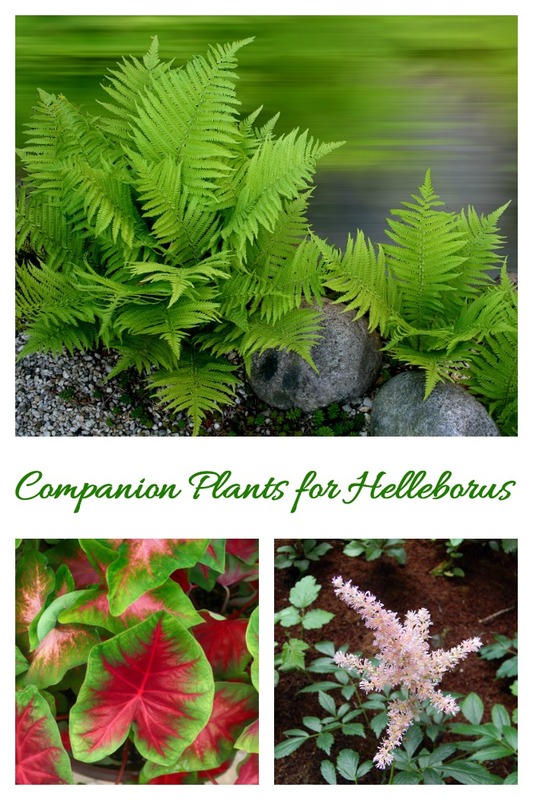 Ferns, coral bells, astilbe and bleeding hearts also like shady spots and will do well sharing a garden spot with helleborus. Other choices are foxgloves, crocus. cyclamen and wild ginger. Caladium, and elephant ears are good choices, as well. 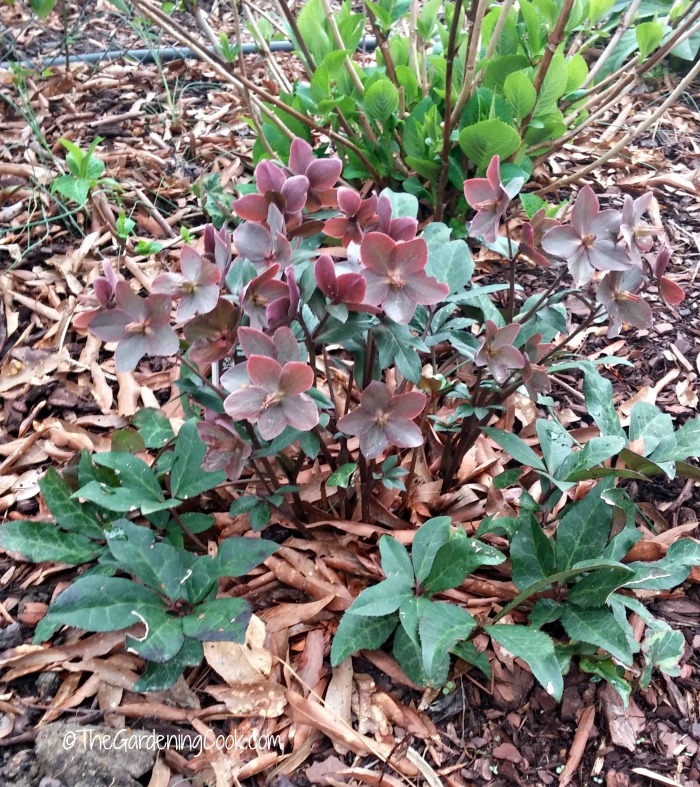 How cold hardy is helleborus perennial? Helleborus will over winter in zone 4-9. For winters that are quite harsh, mulching with hay or straw prior to winter will protect it from the cold temperatures and strong wind of the winter months. Normally, I don’t suggest buying plants when they are in flower, but helleborus has very long lasting flowers and a good way to see what color they will be is to buy them during this time. Shop for Hellebores is in February and March because the selection is largest and the plants are in flower so you can see what the color will be. All parts of Hellebores have poisonous characteristics. The plant is toxic if eaten in large quantities. Minor, and more major, skin irritation is also a possibility. Hellebores contain protoanemonin in varying amounts depending on the species that you are growing. The roots of all Helleborus plants are strongly emetic and can cause vomiting. Roots can also be potentially fatal. Both animals and humans are affected by this toxic nature. Hellebores are said to have a burning taste. Take care in gardens where pets and children are nearby. This page from Cornel University talks more in depth about the poisonous aspect of Helleborus. 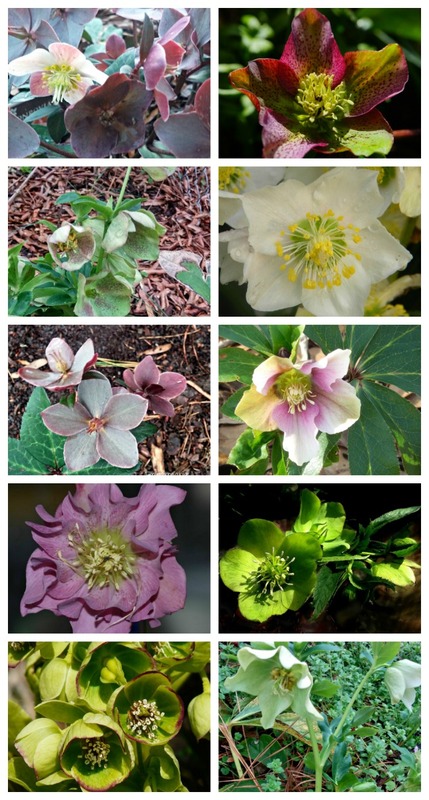 From my research online, I have earned that there are 17 known species of Helleborus. From my experience at Big Box stores, the most commonly seen one is the Helleborus x hybridus ‘Red Lady’ from Monrovia. Helleborus – Ivory Prince – pale pink leaves with green centers and smooth edges. One of my readers has informed me that there are 20 species and lots of hybrids. Thanks for this info which I have added to my post. Interested in learning more about Lenten Rose? 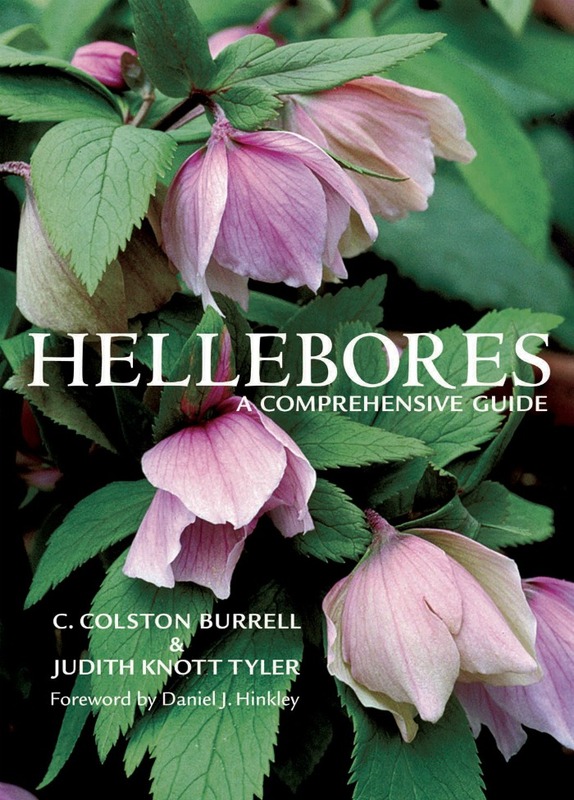 If you are interested in trying your hand at growing a Helleborus perennial, This book from Amazon, Hellebores – A Comprehensive Guide, by C. Colston Burrell is a useful one. It is jam packed with up-to-the-minute, comprehensive information on growing, maintenance, design, hybridization and selection, and trouble-shooting of this wonderful plant. In spite of the slightly hefty price tag, this stunning Helleborus perennial is worth searching out. They are very forgiving plants that need little care and will bloom in late winter and early spring year after year. 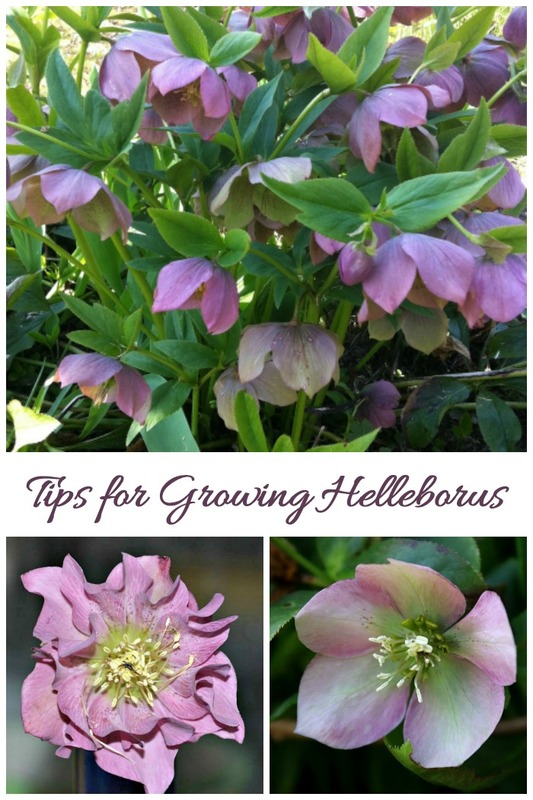 Would you like a reminder of this post for growing helleborus? Just pin this image to one of your gardening boards on Pinterest. 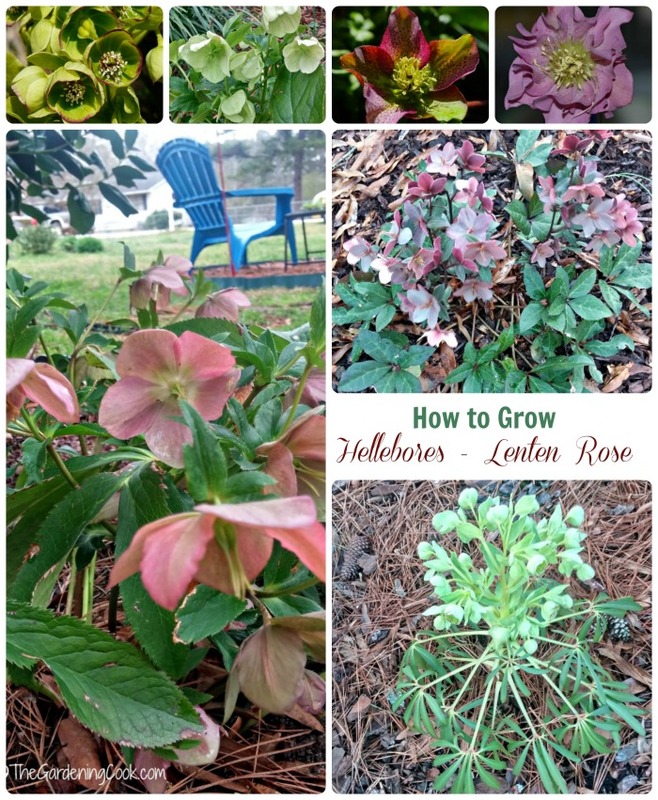 Admin Note: This post for growing helleborus first appeared on the blog in March of 2016. I have updated the post to include a printable growing tips card, more information and a video for you to enjoy. Helleborus is a perennial that flowers in the winter, sometimes even when the snow is still on the ground. Soil. Well draining, organic soil. Moisture. Somewhat drought resistant so only need light watering once established. Light. Filtered light sun or shade. Flowering time.Late winter to very early spring. Fertilizing. Bone meal fertilizer in the fall is recommended. Maintenance. Old foliage can safely be removed in early spring after frost ends to tidy up the plants. 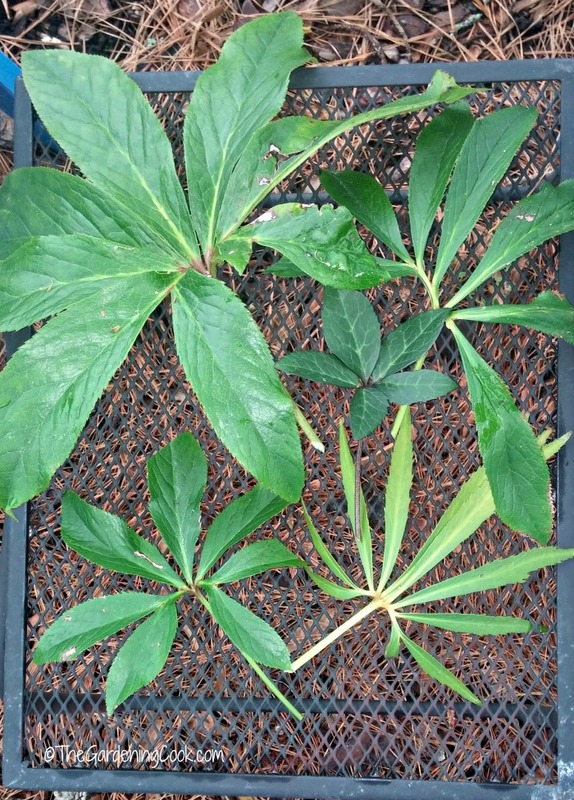 Plant size. 1 to 4 ft high and about 18 inches to 3 feet wide. Pests. Slugs and snails are attracted to Hellebores. Companion plants. Hellebores love to be planted near other shade loving plants such as coral bells, ferns and astilbe. Winter care. Light mulching of Lenten rose with hay is recommended in cold temperatures. Difficulty. 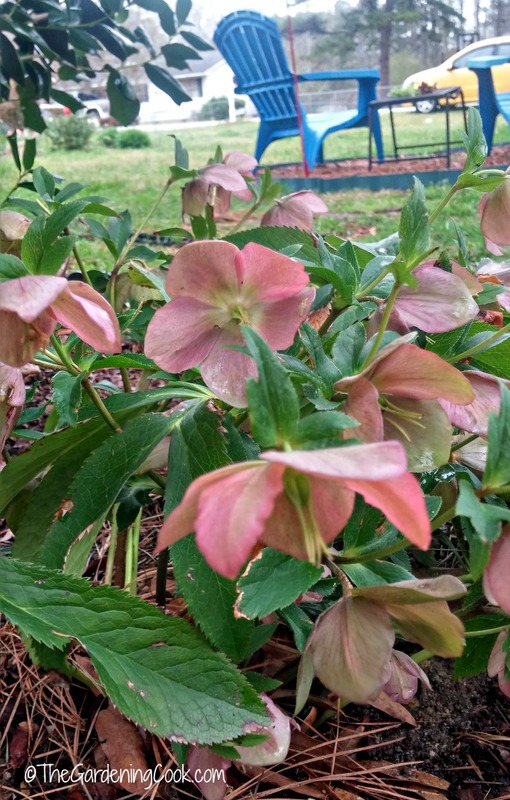 Lenten rose is an easy to grow plant from purchased plants but harder to grow from seed. Print out this plant care card as a reminder of how to take care of hellebores.